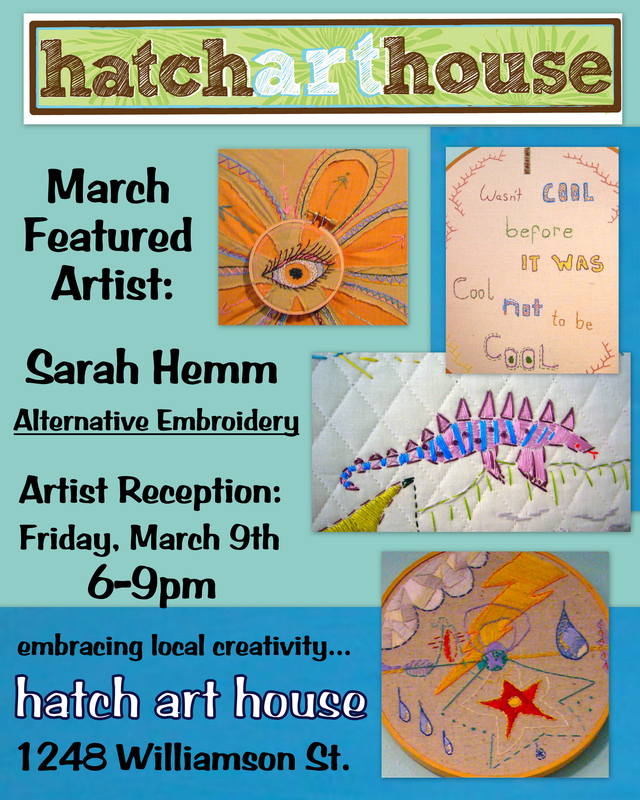 The Hatch Art House March featured artist is Sarah Hemm. Her work will be showcased all month long with an opening reception Friday, March 9th from 6-9pm. Refreshments will be served. Sarah Hemm is a contemporary fiber/textile artist and maker of unique, handmade goods for your home. She is interested in the DIY, subversive craft movement and strives to be a unique contributor to the handmade community. She has been an artist her entire life, and has exhibited her work for over ten years. Currently Sarah is working on a series of 366 embroideries, one finished for each day of 2012. Hatch is showcasing her embroideries.